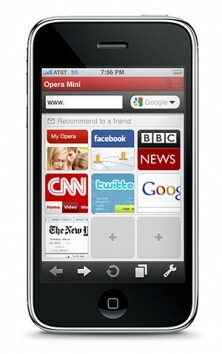 Opera has announced that their Opera mini browser for the iPhone and iPod touch is now available in the App Store. Opera Mini does not work in Saudi Arabia as their servers are blocked by CITC. Opera Mini also doesn’t support Arabic. Opera Mini is free and can be downloaded from the App Store. Back in the day of Nokia 6680 (I still use it) sites were not being blocked some how! One thing to notice that most of users thought that its opera problem and the rating of opera for saudi stores has really come down with almost everyone giving one star, little knowing that its not opera problem. The app isn’t loading at all ! God bless you… yes, it works! You need to change the setting from Socket to HTTP… and it works like a breeze!!! But you cannot do that unless you have a VPN to start the Opera browser in the 1st place. Superb! worked perfectly just by changing from socket to http. Logged on to opera via vpn server and the trick was done. Speedy, yes as you can turn on the turbo for compression when using slow connections… but similar in terms of VPN, no! You still have to use your VPN with OSX… but the positive side of it, is that the combination of Opera & VPN on OSX will be faster than Safari & VPN on OSX due to the fact that the Opera turbo feature compresses the contents during the transfer… resulting into faster surfing. Good luck… and use it responsibly! Thanks for the swift response. Will definitely give it a try. Well, a VPN is a Virtual Private Network and in order to access one you should be associated with a company abroad that provides its employees or members such access. You can google the net for sources… but most likely they’ll be blocked ! Therefore, one solution would be subscribing once you travel abroad. As for Opera,I noticed it often has compatibility problems with websites… plus it still requires a VPN to browse through websites beyond the homepage. So it is not really a good catch after all; i.e. Opera! just downloaded opera mini 5. the first step in installation is already blocked. how can you change the protocol used??? server is blocked. not unless before opera mini is already installed. Reported this to Opera to fix the settings panel not showing up before loading start page is done. try opening apple.com in safari and opera without zooming you will see it looks better in safari and some words cannot be read in opera. The feature of Opera mini is that all web requests are channeled to their site (much like how a proxy works). Then, the requested data is sent back to you in compressed form. 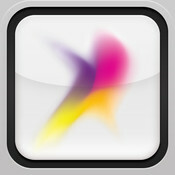 This is very convenient specially for the mobile where we have limited bandwidth. However, for countries that filter internet traffic, this suggests the user is bypassing the filtering they do. Thus, I guess this is the reason Opera is blocked. It works for VPN connections because the filtering is not able to monitor data coming to/from VPN connections (thank you for that). n english. Don’t understand arabic. i want to use operamini in saudiarabia..i want to see bangla font . But it dosnt work . I try http change but no benifit. Please tell me any easy solution how i use opera mini please help me..